The Rangely Board of Trustees is updating a municipal ordinance which required that the town manager vacancy be filled within 90 days. 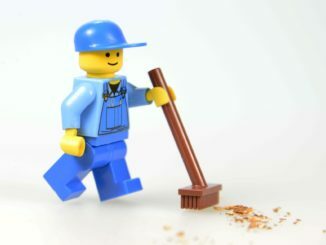 The new ordinance does not place a specific time limit on hiring. They also discussed a provision which allows for a town manager to live outside of town, working to clarify the language to require that the manager still live locally but not necessarily within town limits. They will likely use the school district boundaries as a guide. The town accepted a $9,613.49 bid for the remodeling of an apartment at the senior apartment complex. The bid is to rehabilitate one of the 24 units. Town Clerk Lisa Piering provided her first update as interim town manager following the resignation of Peter Brixius. Piering said budget work sessions will begin next month as the town prepares their 2019 plans. The town is preparing an emergency drought plan which includes increased water rates and limiting nonessential water usage during drought. Drought is defined by looking at a variety of factors including temperature and White River flow. The river is currently at 200 cubic feet per second, double the minimum flow suggested for a response, and the town is not considering implementing emergency measures at this time. Board member Andy Key voiced concerns that the board should be involved in making the official drought declaration. “It’s primarily a tool to defray excessive usage,” said water plant manager Don Reed. The plan would also be applicable to contamination and other issues with the river. The board is giving $1,000 from the town’s discretionary fund towards CNCC’s Rock ‘N’ Bull event at Septemberfest. Brittny Campos discussed a desire to see a recycling program in Rangely. She said she’s spoken with Overton Recycling from Meeker. Lee Overton said he could set up a specific site in Rangely where people could bring their recyclable material, similar to what’s currently available in Meeker. Mayor Andy Shaffer was supportive of the idea and requested the town look into how much funding would be required. Gary Moyer, Republican candidate for county commissioner, introduced himself to the board. He described himself as fiscally conservative and in favor of multiple use of federal lands. “We’re talking oil and gas, grazing, logging,” he said. He said he wants the county to take an active role in supporting those industries. 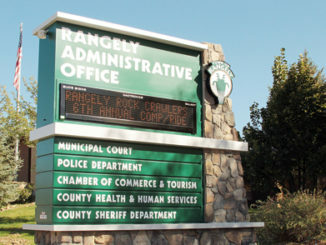 A new sign in front of Rangely Town Hall includes the names of departments within the building and announces upcoming events in the community.